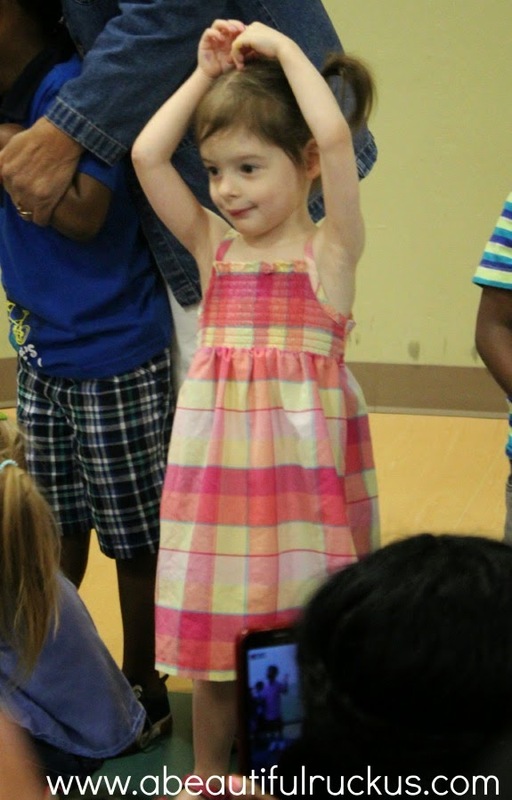 Although our kids just started preschool in March (due to their age), we were still so proud of them by the time preschool ended for the year. It was such a big adjustment for them, and they were stretched in every way possible. They made unbelievable progress in two short months, so we were thrilled to celebrate their accomplishments with them last week! First of all, I have to show you this photo that I *finally* snapped of Elijah and his friend, CJ. 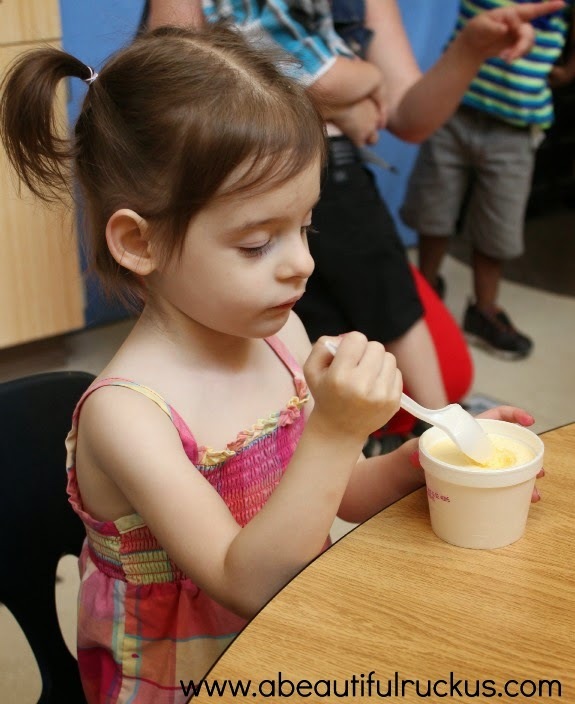 The kids in our preschool are all in blended classrooms with some special needs kids and some kids without any issues. 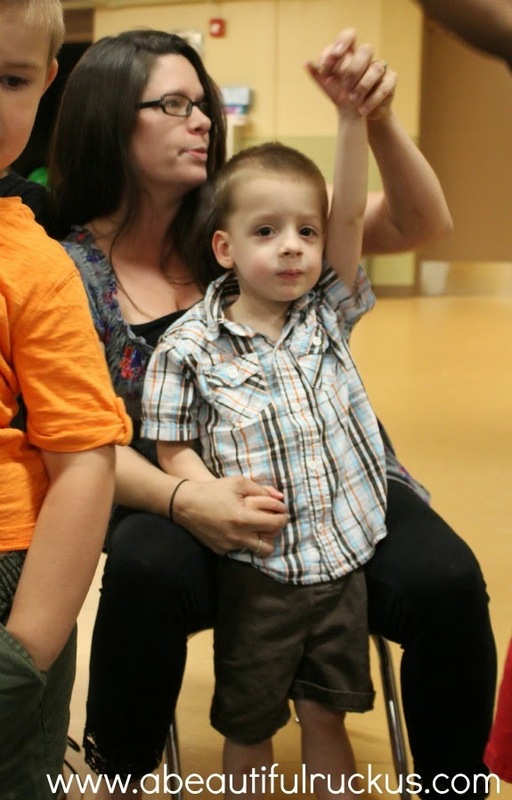 Each class also has a mix of 3, 4, and 5-year-olds. The blended classrooms end up helping all of the kids succeed. Well, CJ was always dropped off at the same time that we were dropping off. 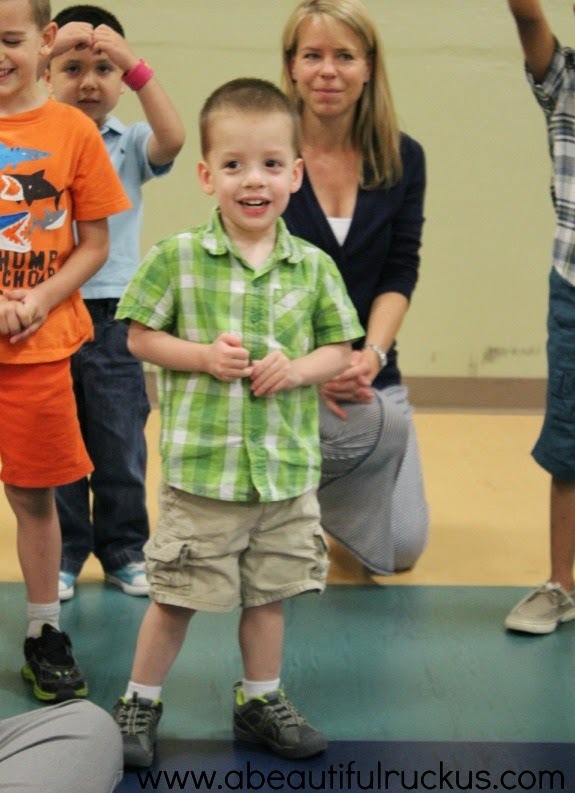 He quickly realized that Elijah was in his class, and he started waiting for him every morning. Before too many days had passed, Elijah and CJ became tight friends, with CJ taking our little boy by the hand to help him to his classroom every day. Elijah thrived on the attention and started looking for him as he got out of the van too. I asked his para if this was something that they asked CJ to do, but she said that as an older kid, he likes to help and decided to do it all by himself. I finally caught a photo of their special friendship on the last day of school. How adorable is that?! Dear Parents of CJ, thank you for raising such a sweet son and for teaching him to look out for the new kids! 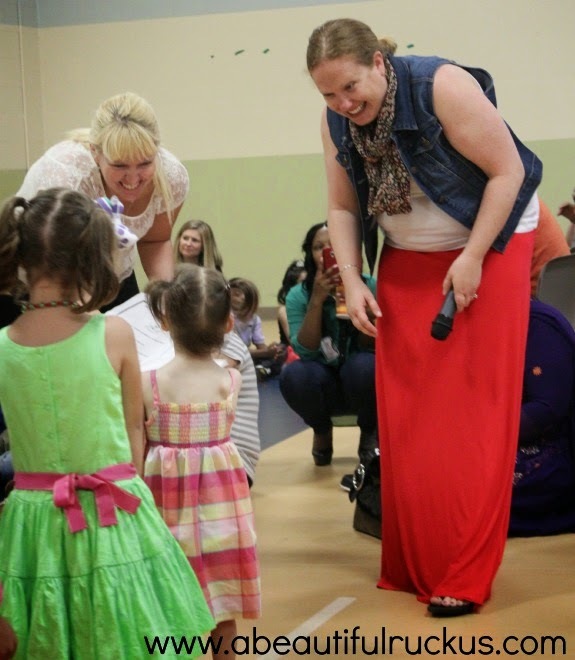 Because the preschool gym isn't big enough to fit all of the kids and their parents at the same time, the preschool celebration was done in halves. One half of the school got to parade around, dance and sing their songs, and receive their certificates (followed by ice cream! ), and then the other half of the school got to go. Of course, we had two kids on each side. Lol! 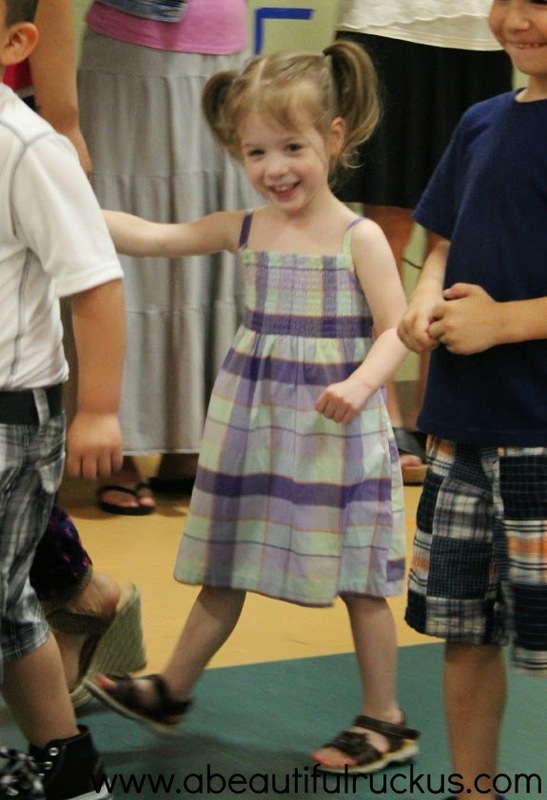 So we sat through two preschool celebrations, one right after the other. 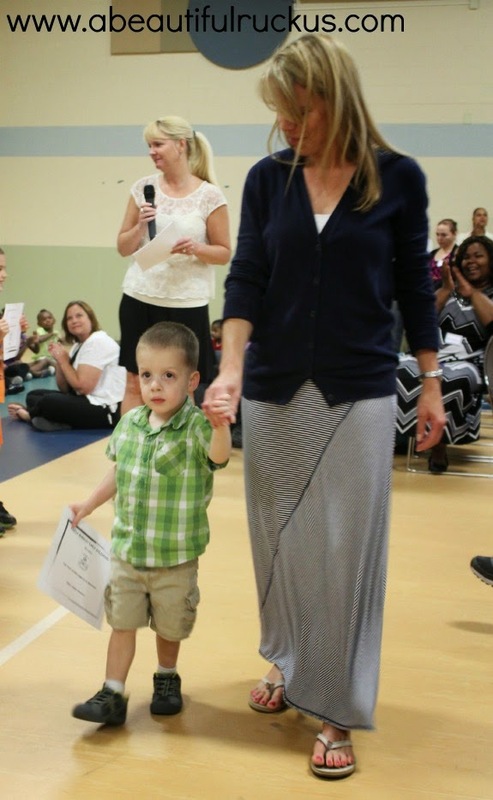 Abby and Elijah were the first two to participate in their preschool program. They started by marching around the room with their respective classes so that all of the parents could wave and take photos. Abby loved the marching part and happily waved to us as she went. Elijah (and one of his therapists) happily marched until he saw us. Then all of his energy was put into coming over to say, "hi!" Elijah singing the "Fast Food Song"
The classes took turns getting their certificates and in between sang more songs to keep the kids moving and engaged. Well played, Early Childhood Educators. Well played! 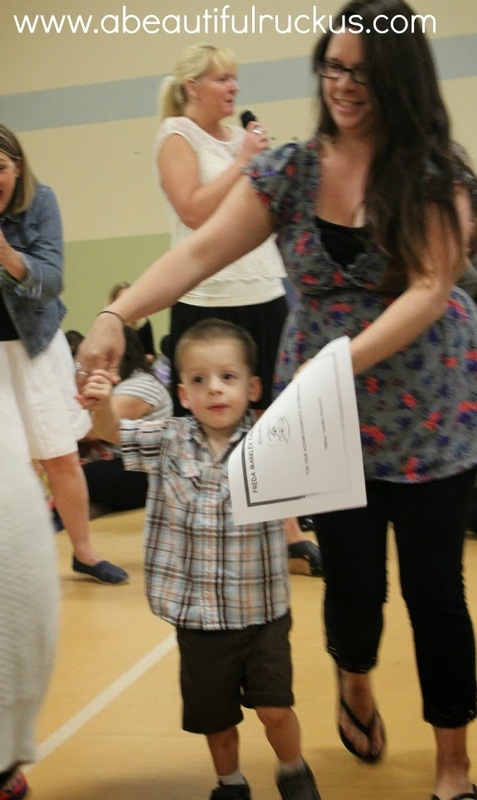 Elijah receiving his certificate with Miss Tammy his Occupational Therapist who helped him navigate the celebration. And then there were more songs! Abby and her para, Miss DeeAnn. I think this was a song about rowing a boat or something. 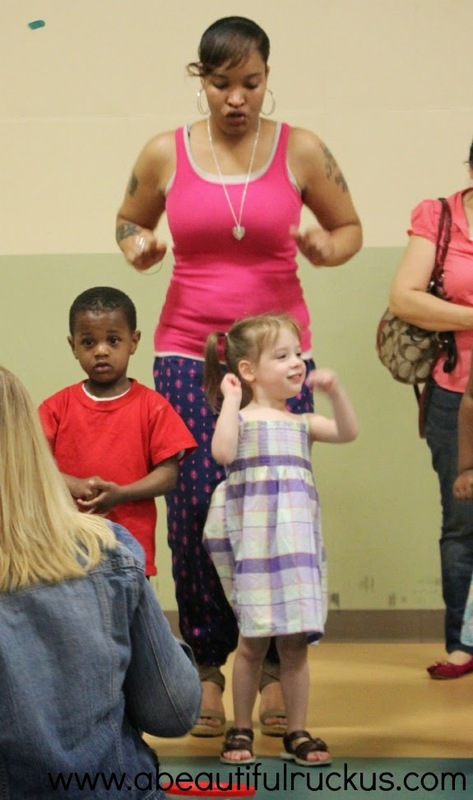 It was a short 30-45 minute program, and the kids were so proud to show off their songs. It was pretty cute! And then they released all of us to go get celebratory ice cream cups! Abby is a true Ishum. She takes after her Grandpa Winn who knows his ice cream like non-other! 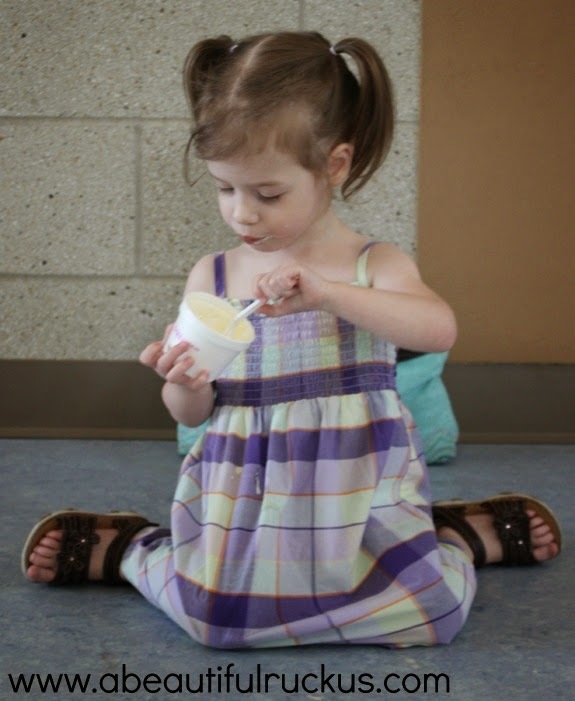 Once our ice cream was finished, we dropped Elijah and Abby back at their classrooms so that we could watch Caleb and Ellie participate in their preschool celebration. The teachers were so nice to suggest that we bring them back so that we wouldn't be distracted from watching the other two! Caleb and his para, Miss Dierdre. 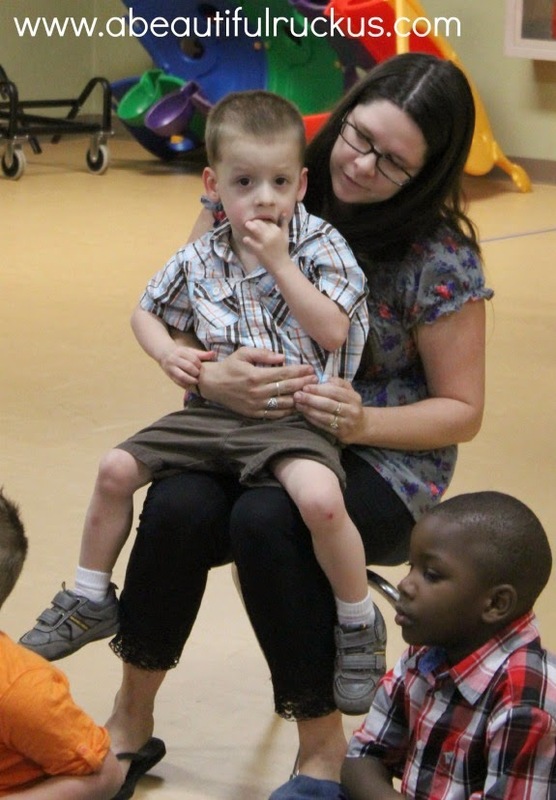 Caleb has a para or teacher with him constantly in the classroom, and he developed a really good bond with Miss Dierdre. She was amazing with him! Thinking about Miss Mary (his teacher), Miss Dierdre and Miss Yasmeen (his paras) totally makes me tear up. Friends, he has come SO SO SO far. And these ladies are largely to credit for his progress. Ellie and Miss Melinda, one of her paras. I think Ellie had a para with her for the celebration, more to keep her on track. Lol! Back to the Fast Food Song! Ellie is singing "Pizza Hut" in this photo. 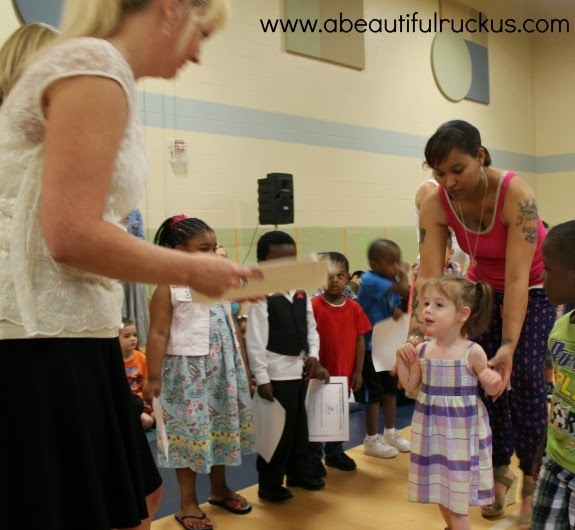 The principal giving Ellie her certificate with her teacher, Miss Jessica, looking on. And then it was time for more ice cream! Ellie isn't a huge fan of desserts, so although she really wanted her ice cream, she didn't actually take a bite. Caleb made sure to eat his though! I also have the official "last day of school" photos, and the photos of each kid with their teachers and paras. We are very unfortunately losing several of them next year as the school district is splitting and we are being relocated to a different preschool. A couple are moving with us, a couple are staying, and we are still trying to decide what we want to do in terms of moving to the new building or asking for an exception to stay where we are. 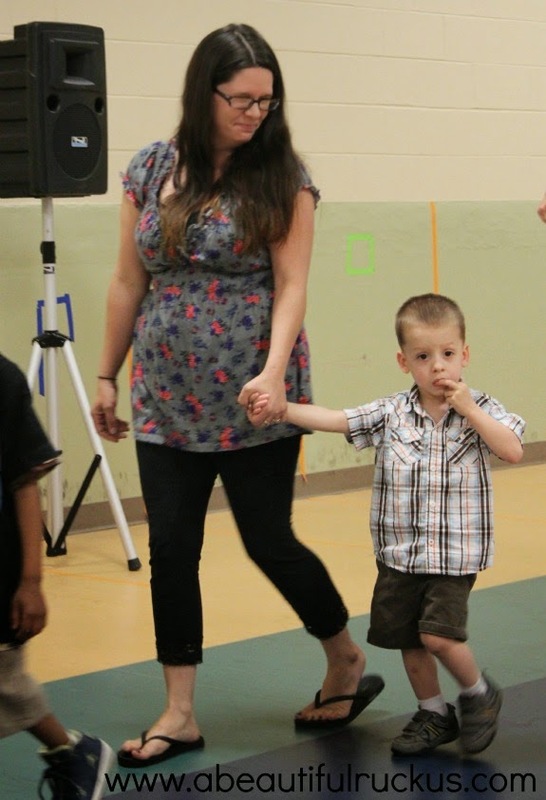 Regardless, some of our kids will have new teachers in the fall, so we wanted a lot of photos to remember their first teachers who chose to love them when they walked through their doors. 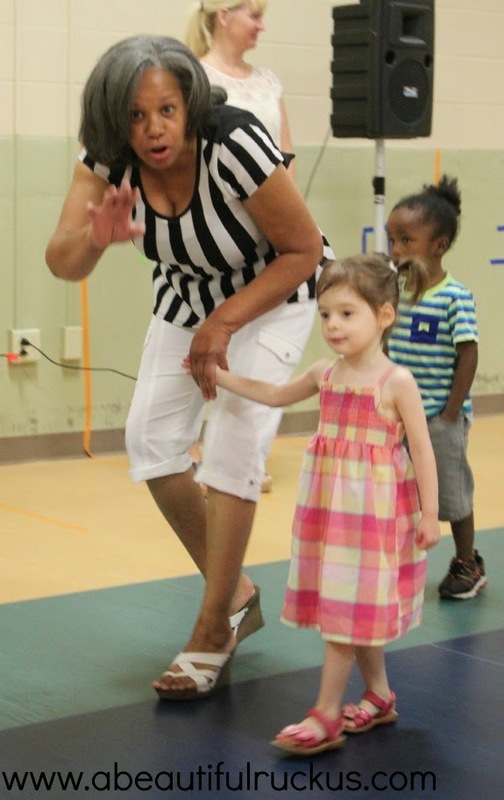 Each are amazingly special ladies with a real gift when it comes to working with special needs kids. But I'll have those photos later on in the week as I think this post is getting pretty long. I'm sure I'm not the only proud Mommy out there! 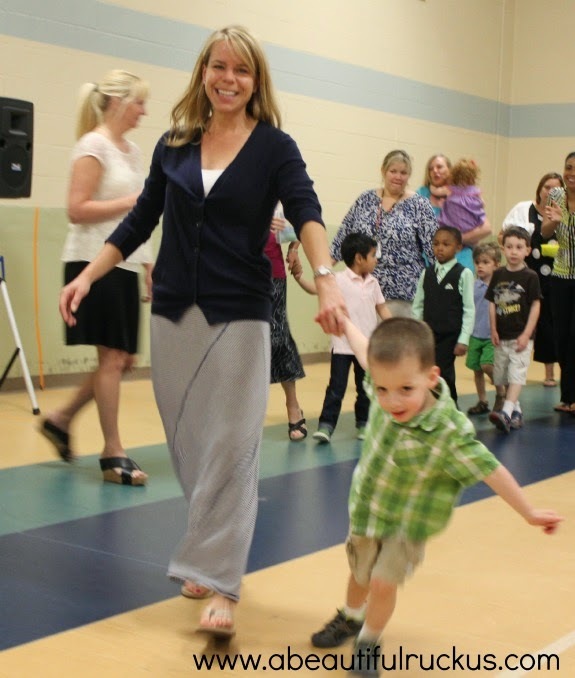 How did you celebrate the end of the school year with your kids? Love the photos - so nice for them to have a celebration! And I used to sing the fast food song at school too, forgot about it until I read this! Oh the first of many graduations to come and well documented as always. :) So glad the kiddos are progressing well and seem to enjoy school.